Start training to the beat. 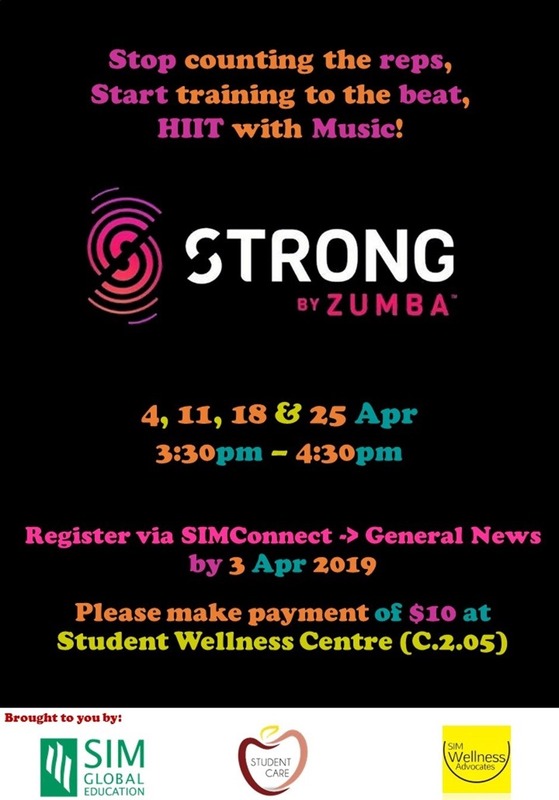 STRONG by Zumba® revolves around HIIT, but still focuses on moving to the beat. STRONG combines body weight, muscle conditioning, cardio and plyometric training moves synced to original music that has been specifically designed to match every single move. Please make payment of $10.00 at Student Wellness Centre (C.2.05).